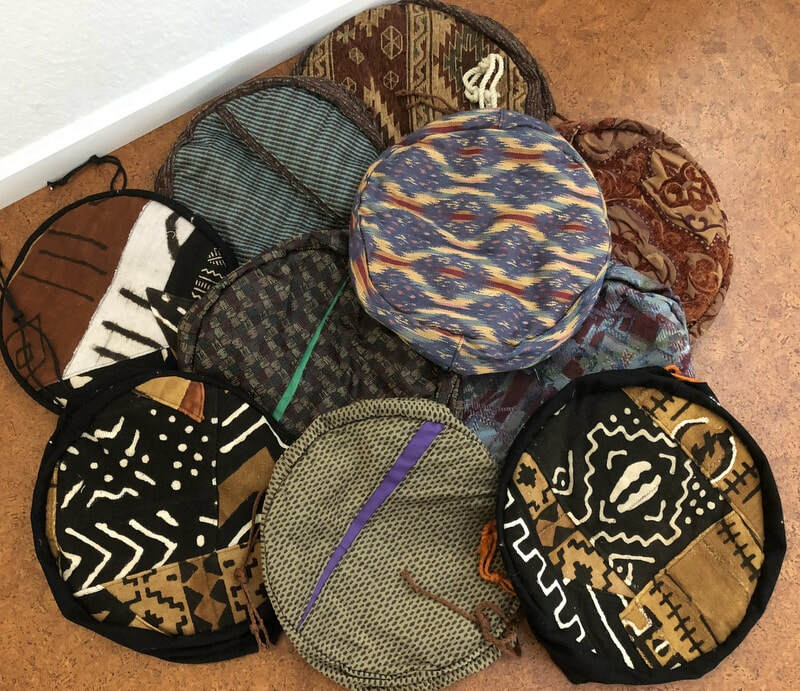 Each Djembe Case is "One of a Kind"
13" X 21" X 9"
14" X 21" X 9"
14" X 25" X 9"
Berets and bags are made of colorful upholstery fabric and mudcloth. Each is "One of a Kind." Click Here to Order.